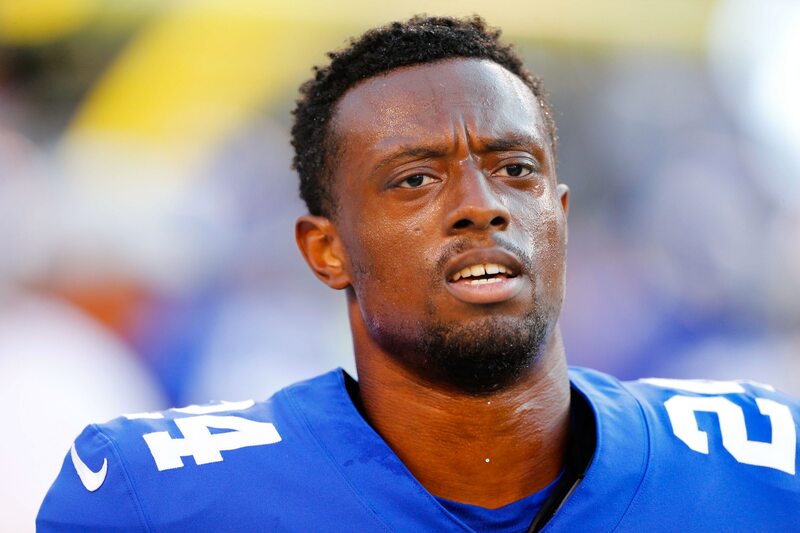 Despite an unfortunate loss in week 1 for the New York Giants against the Jaguars, third-year corner Eli Apple had an impressive game and silenced his critics. Apple has been criticized for allowing receivers to turn him around and keep his eyes wandering at the point of attack. He’s worked on improving his vision on the ball and positioning this offseason, and it showed against the Jags. Take a look at this play. In 2017, Apple fails to get his head turned around and gets beat on this back shoulder. This time around, he keeps his man infront of him and uses his hands to disrupt the catch. Obviously, it can be difficult to read when a pass is in the air, but Apple does a great job of reading the receiver’s eyes to make the play. The corner finished the game with three tackles and two passes defended, tied with Janoris Jenkins. After going into the regular season with question marks in the secondary, it seemed to hold up for most of the game. Now, it’s also important to recognize that the Jaguars don’t have great receiving options. Who else looked good on the New York Giants’ defense? With Olivier Vernon out, rookie Lorenzo Carter took the field in his absence. The Georgia product finished the game with a tackle and one pass defended. In Vernon’s absence Carter looked solid, getting pressure on Jags’ QB Blake Bortles. While Carter had a few good moments, the pass rush didn’t seem to be as active as advertised. Missing Vernon was devastating for the defense – a player of his quality could have changed the game entirely.